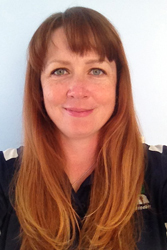 Charlotte MacDonald, U12/U14 Coach Fall Outdoor Coach & U16 B Indoor Squad Coach. 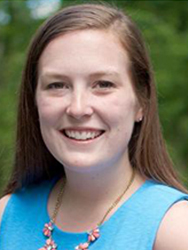 Charlotte grew up in Bluemont and attended Foxcroft School in Middleburg where she played field hockey. During her senior year, Charlotte served as captain, was the team's MVP, and was named to the First Team All-DAC. Charlotte went on to attend Washington and Lee University (Lexington, VA) where she was a stand-out forward for the Generals field hockey team, serving as captain her senior year and one of 30 athletes nationwide named to participate in the NFHCA DIII Senior Game in 2015. She is so excited about coaching, Charlotte has sat for her USAFH Level I and II coaching certifications within two months. She is currently also Foxcroft School Varsity Assistant Coach as well as our PFH Youth Rec League Commissioner. Caitlin Baker, U12/U14 Coach Fall Outdoor & U12 Squad Indoor Coach. Caitlin attended McLean High School in McLean, VA where she was an all round athlete playing field hockey, basketball, soccer & ran track! She was an MVP in field hockey serving as captain her senior year and most improved in soccer. Caitlin went on to play field hockey for D3 University of Mary Washington. As a freshman, she was named CAC rookie of the year, recognized as All-CAC her sophomore & junior years, was an all-region honors her sophomore year and honored as an All-American by NFHCA her senior year of college. Demi Charlifue, U12 Assistant Coach. Demi is a Level I USAFH and VHSL certified coach. She is from Fairfax, Virginia, and is currently a sophomore at George Mason University, majoring in International Studies. In high school she played for W.T. Woodson High School in neighboring Fairfax County where she was a 7 time scholar-athlete award winner, earned the 2014 Defensive MVP of the Year for her team, and was selected to compete in the Senior Elite tournament in Virginia Beach. In 2014, she made second-team All-State and received Honorable Mention on the 6A North All-Region Field Hockey team. Demi was the JV Head Coach for Centreville High School in their 2015 season, and was the defensive coach for Centreville's Varsity squad in their conference tournament. She also has coached field hockey for Fairfax Indoor Turf League, Fairfax Indoor League, Burke AC Youth Club, and the Capital Summer League. 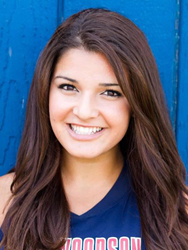 Demi is passionate about coaching field hockey and giving back to the sport which has given her so much. Brooke Edwards, U14 Head Coach. Brooke is a Level I USAFH and VHSL certified coach. She attended Ohio University where she was a four year starter for the Bobcats from 2008-2012 and helped lead the Bobcats to the NCAA Tournament in 2011. 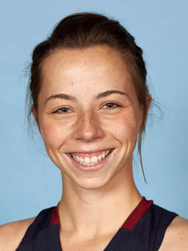 She was a captain and a two-time National Field Hockey Coaches Association Division One Academic Squad selection. Edwards scored the game-winning overtime goal for the Bobcats in the 2011 MAC Championship. 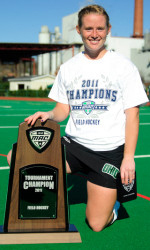 In her four years at Ohio University, they recorded 2 MAC Championships. Brooke comes to the Virginia area from two years in Cleveland, Ohio where she was the varsity field hockey coach and a physical education teacher at Hathaway Brown School. While at HB, Brooke led the team to a record of 12-5 and coached 7 All-Region players. Before arriving to Cleveland, Edwards was the graduate assistant at Ohio University under head coach Neil Macmillan for one year. Colleen Aubel, U14 Coach. Colleen Gallivan played field hockey for Chantily High School growing up, went back to serve as Freshman Field Hockey coach. 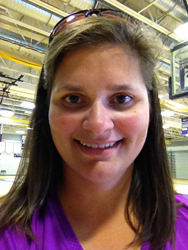 Colleen is currently Tuscarora High School Varisty Head Field Hockey Coach. Ashley Smeltzer-Kraft, U16/U19 Head Coach. Ashley is a Level II USAFH certified coach. She was a DI player at Michigan State and helped MSU to a pair of NCAA Tournament appearances and a Big Ten championship. Ashley's coaching experience includes serving as a student-assistant coach for MSU (2007-08), five years as an assistant coach at longtime DIII power University of Rochester (who appeared in the NCAA Tournament quarterfinals in 2012), and now the head coach of Shenandoah University. In the fall of 2013, Ashley led her Hornets to 10 overall wins and six ODAC victories, setting a new program record, as the squad finished in the runner-up spot in the regular season race and earning the 2013 ODAC Coach of the Year honors. This past fall, Ashley led her Hornets to an overall 11 wins including a 9 game winning streak with six ODAC victories. Meg Dudek, U16/U19 Head Coach / Goalie Coach. Meg is a Level II USAFH and VHSL certified coach and has been coaching U12 to U19 age groups throughout the last 10 years. A rec league and travel team coach for Potomac Field Hockey since 2011, she is also the Varsity Head Coach at Broad Run High School, where she was recently named 2016 Conference 14 Coach of the Year, and a Region 8 USAFH Futures Head Coach. Meg was awarded the 2014 Junior Field Hockey Award by the National Field Hockey Coaches Association (NFHCA) and led her U12 Rapids team to a gold medal at the 2015 NITs. Her sports experience includes playing hockey and lacrosse at Arcadia University (1990-1994), camogie for the WDC Gaels, and hockey for Mavericks, DC Metros, DC Dragons, SPark, and, of course, PFH. Meg enjoys coaching because she loves to see the players and their confidence grow not just as field hockey players but as people. Her coaching philosophy is: Put yourself in places where you don’t think you belong and you WILL improve! Kelsey Glass, U16 Head Coach. Kelsey is a Level I USAFH and VHSL certified coach and has completed her first year of coaching in Loudoun County as the Assistant Coach at Stone Bridge HS. A local resident, Kelsey played varsity hockey at Robinson Secondary in Fairfax and played club hockey at the College of William & Mary. She is also a 1st grade teache at Creighton's Corner in Ashburn. Tina Plaugher, U19 Coach. Tina is a Level I USAFH and VHSL certified coach who has been coaching as a goalkeeping specialist this past year with Potomac Field Hockey. This past spring she began coaching with the USAFH Futures program. She is currently in her 12th season of coaching at Chantilly High School where she is the Head JV Coach and Assistant Varsity Coach as well as helping with the freshman club program. Tina is also a certified field hockey official and has been for the last 11 years. She attended Chantilly High School and played both field hockey and lacrosse all 4 years and was recruited to play both in college. Tina went on a scholarship to play DI hockey at Radford University (1999-2004) and holds the record for the most shut-outs in one season. Tina has a passion for coaching field hockey she wants to develop the love the game in the players that she coaches. Kieran Sweeney, Rapids Travel Commissioner. Kieran is a Level I USAFH and VHSL certified coach. She is from Philadelphia and attended the University of Pennsylvania, majoring in history and minoring in education, graduating in 2012. Before moving to Virginia this summer, Kieran spent the past two years teaching in the Central Bucks County School district and assisting the CB West field hockey team through two winning seasons. In addition to playing abroad in Argentina, Holland, Italy, and Australia, she was a starting goalkeeper for the Division 1 UPenn Quaker Field Hockey team. Thoughout middle school and high school, Kieran played indoor field hockey for Mystx Field Hockey Club and spent a year coaching for Mystx after college. 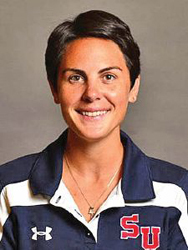 Currently she is the co-head coach for McLean High School field hockey team. 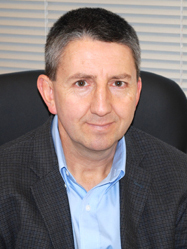 Richard Hayden, Technical Director. Richard is a Level II USAFH and VHSL certified coach as well as an NFHS and USAFH certified umpire. He grew up playing hockey in Ireland and continued to play club in England after college. Richard has represented the USA as a member of the Over-50s mens team and enjoys playing with the DC Dragons. He began his coaching career while in college and returned to coaching when he reached the US. Richard has coached for the Potomac Rapids and was a U19 National Futures Coach in 2012 and is now a USAFH Futures program site director, is a Coach Director on the USAFH Board of Directors, and is now the Varsity Head Coach at Stone Bridge High School. He enjoys sharing his passion for the game and seeing players develop, have fun, and take pride in their progress. Richard strongly believes in a solid foundation of core and movement skills so that players can later excel at team play and tactics.